Make your own wallpaper with your favorite movie poster! 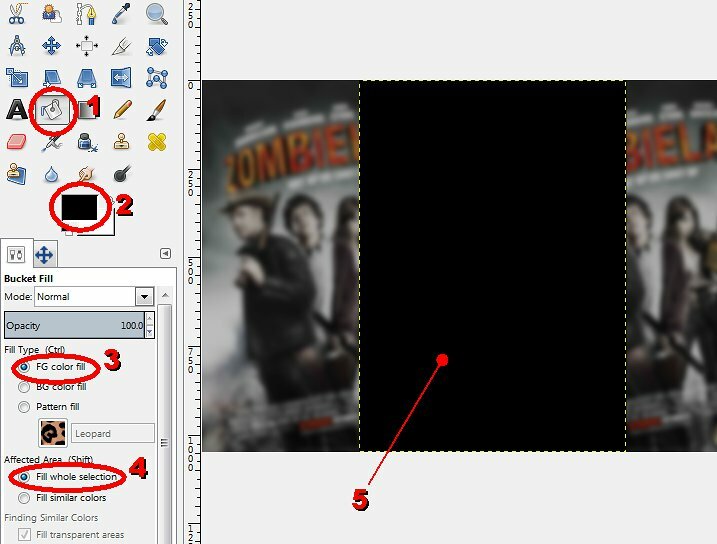 In this tutorial i will show you how to make a wallpaper from any movie poster using the free software GIMP!
. Just replace "zombieland" by any other movie name! Try to find the biggest image as possible (at least the same height of your screen height), as it will be used to make the HD wallpaper! Click "Image" then "Scale Image..."
First we need to reduce the image height so the wallpaper will have the exact height of your screen. Click "Image" then "Scale Image...". (chain links) is enabled so the image width will be automatically calculated. If you don't know how to find out your screen resolution, just use whatismyscreenresolution.com ! Click "Image" then "Canvas Size..."
Once your image height is reduced, we need to expand the layer area so the movie poster (which is a portrait image) will be in a landscape image. Enter your screen width and click "Center"
Enter your screen width, e.g. 1680 if your resolution is 1680 x 1050.
to automatically center the movie poster in the layer. (chain links) is NOT enabled, so you can change the width without changing automatically the height. Move the duplicated layer to the left. For that, click the "Move" tool, then drag the layer to the left. Repeat step 6 and step 7, but this time to fill the right side of the wallpaper. 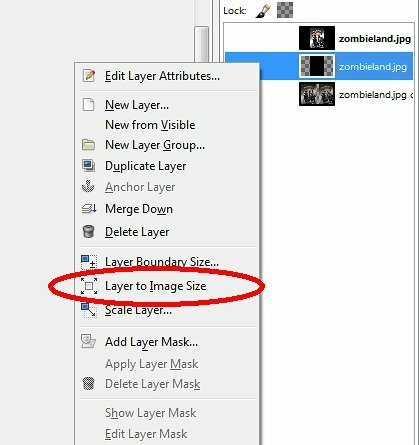 Once you have your 3 layers, make sure to have the left and right poster at the bottom of the layer stack (the centered poster layer needs to stay on top). You can drag and drop them if you need to reorganize your layer stack. to join together the left poster layer and the right poster layer. 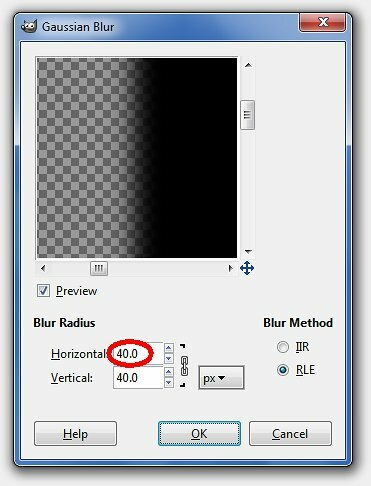 Enter a blur radius, e.g. 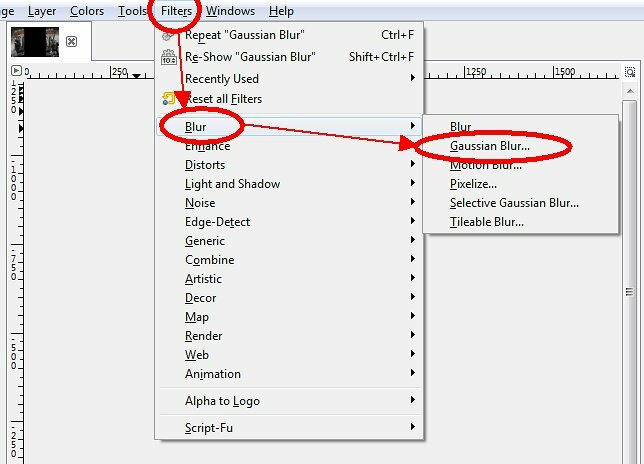 Drag brightness cursor to the left or directly enter in a value, e.g. 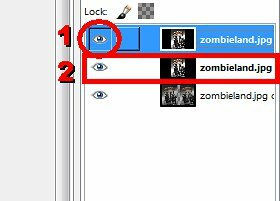 Click the eye button to hide the 1st layer. Click the second layer so we can work on it and transform it into a shadow! Fill the layer with black color so we can make the shadow. 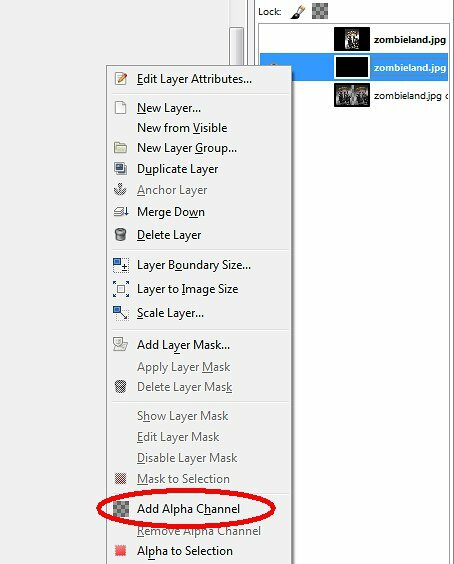 Click anywhere in the layer to fill it. To make the shadow, we need to expand the layer area. But before that, we must enable the transparency of the layer. Now we can expand the layer. To make the shadow we just need to blur the black rectangle we made! The vertical value should be automatically the same (with chain links button enabled). We finished the shadow, now we can unhide the main poster layer! Just click the eye button again (like we did in step 16). for best quality, then right click your image in file manager and click "Use as wallpaper" to use it as your desktop wallpaper! That's it! You can now make your own wallpapers from movies posters. What do you think of make a wallpaper from a movie poster?